The jockeying for Starwood Hotels & Resorts Worldwide continues. A group of investors, led by Chinese insurer Anbang, has raised its offer to buy the hotel operator to about $13.9 billion — or $82.75 per share in cash — trumping a competing bid from Marriott International. The revised, non-binding bid from Anbang, one of the largest insurance companies in China, “is reasonably likely to lead to a ‘superior proposal’” than the one pitched by Marriott, Starwood said. Marriott fired back, saying that it is committed to completing its deal but it didn’t raise its current offer. Butler also doesn’t anticipate regulatory issues with the Anbang deal given that Starwood’s assets have little implication for national security. “This is not a plant making stealth bombers. It’s real estate,” he said. In November, Marriott, based in Bethesda, Md., agreed to acquire Starwood for $12.2 billion — $2 in cash and 0.92 of its own shares for each Starwood share — to create the world’s largest hotel company. Starwood dropped Marriott’s bid on March 18 to opt for a $13 billion all-cash offer from Anbang, valued at about $78 per Starwood share. Determined to complete the acquisition, Marriott then raised its bid to about $79.53 per share — $21 in cash and 0.80 shares of Marriott Class A common stock for each Starwood share. Starwood owes Marriott $450 million in cash if it backs out of its agreement with Marriott. Anbang’s comeback was widely expected. 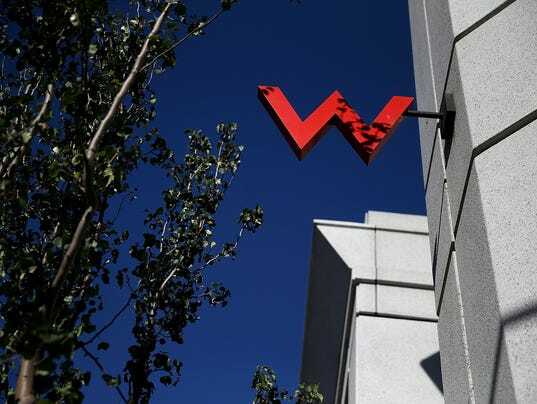 It arrived Saturday with an offer of $81 per share in cash, prompting further negotiation through the weekend that resulted in the heightened offer, Starwood said. Anbang’s consortium includes investment firms J.C. Flowers & Co. and Primavera Capital.